Contest now closed, back with three winners shortly. Oh please pick me! Thank you so much! Your books look amazing! I'd love to check them out! These books look amazing! I would love to win signed copies!!! Thanks! Thank you for your Friday Giveaways! These books look amazing! I would love to win signed copies. Thanks. I would love one of these! Entering on both sites this week.. I love your site and would love to read your books. Thank you for the chance to win! Awesome giveaway! 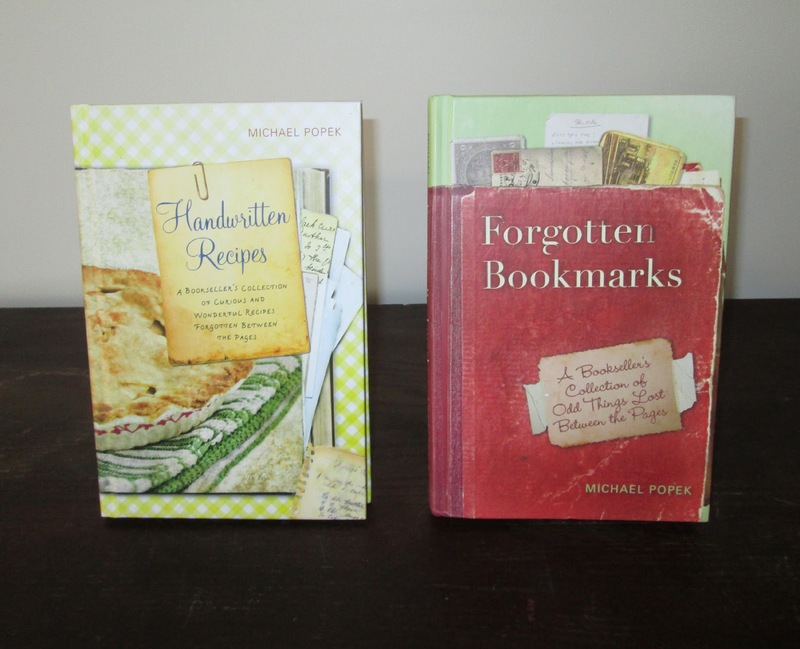 I saw Forgotten Bookmarks at our library and that is how I came to your site. Would love to win my own personal copy of either! Oh! These look intriguing. Thank you for giving some away! Oh, I'd love it if Santa left these under the tree for me! Be a very nice christmas present for me. Love your books and sites! Love your blog. Love everything your find in your books. I've always loved finding treasures in used books. Thank you for doing the lovely giveaway. 2 testatments/treasures to the handwritten/printed word---thank you for these lovely books! I would love to win these! Thanks Michael. I'd love to win such wonderful books! Would love to win your books. A terrific give-away!!! Thanks for provoking anticipation, every week, that was much more entertaining than a lottery ticket. It was delightful, even without winning. I will keep my fingers crossed. These are awesome books, thank you for such a great giveaway! You didn't say what we have to do to get one. Would love to win these to pass on to my great granddaughter! Oh, I would love to win!!! What a fabulous giveaway this week! THANK YOU so very much! You're in the holiday spirit! Would love.love.LOVE! to have a copy of one of these books!! Thanks for the giveaway! HAPPY HOLIDAYS! Pick me, pick me, pick me!!! They look like very interesting reads! Yes, this would be a really interesting gift. Not only the recipes or bookmarks information but so much more connected to the people who left items in the books themselves. A little piece of history!!! Those books look great. Would love to win!! Yes, count me in. You are very generous and that is commendable. Love your site and would love to have signed copies of the books! This would be the best Christmas present to myself!! I just purchased both of these from Amazon for myself but would gladly gift those if I won these. I love them! Thank you for offering your books. I would love to have them! These would be such a scrumptious personal present. I would read them cover to cover, and then some. Pick me; pick me!! these look great! we are mostly doing books and games as presents to our family this year! I'm not sure which of these I'd be more excited to win. What a thoughtful way to close out the year!! The only thing greater than old books are the treasures left inside by previous owners. Books, bookmarks and old recipes are good friends. Would so enjoy these books and share them with others who appreciate these gems. Wishing you and yours a joy filled Christmas and New Year. Oh, thanks so much for a great prize - would love to read both or either!! This is one giveaway I really want to win! Fantastic giveaway! Hope to win! Merry Christmas!